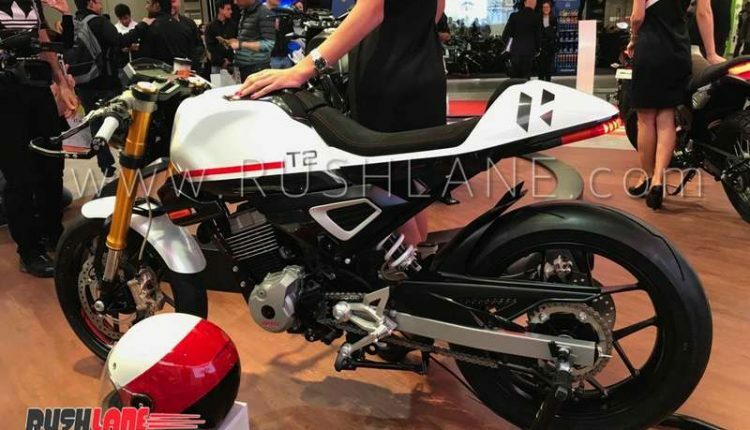 Unveiled at last year’s EICMA Show, the Hero XPulse 200 is once again at the same show this year round in a Cafe Racer format. 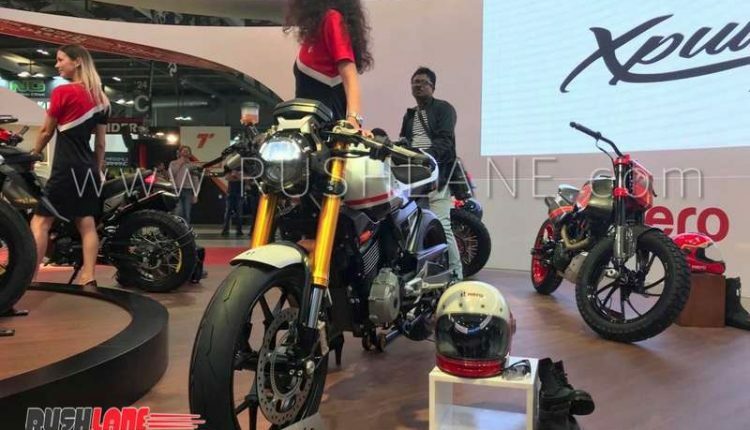 Scheduled for launch later this year or in early 2019, Hero XPulse 200 was showcased as a concept at the 2018 Auto Expo. 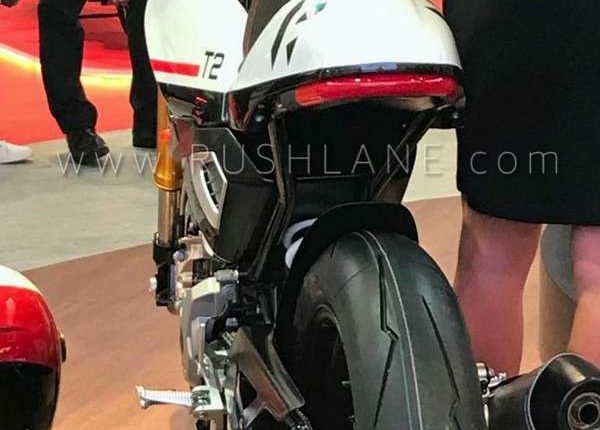 The bike has now been showcased in production ready format at the 2018 EICMA in Milan, Italy. 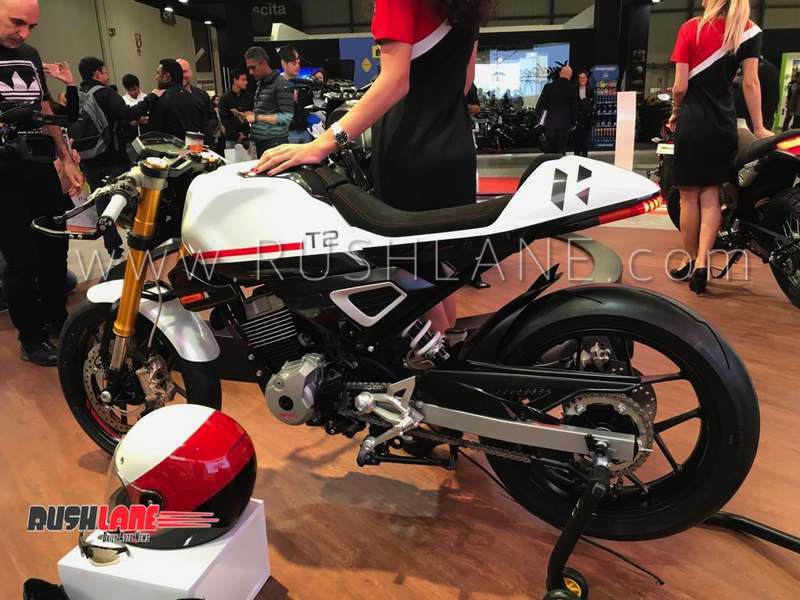 Along with the production ready version of the Xpulse 200, we also have the Xpulse 200 Cafe Racer and the Xpulse 200T Touring on display at the same show. 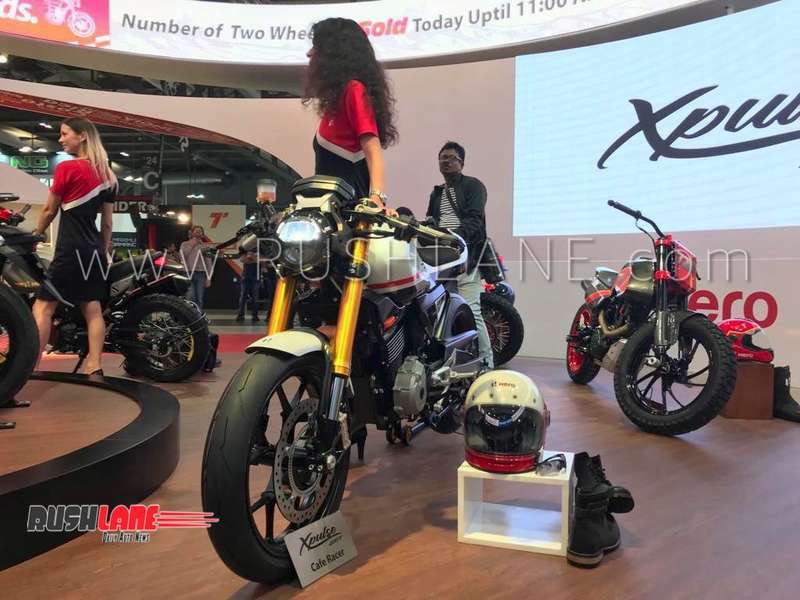 There are three more such variants of the Xpulse 200 on display namely Scrambler, Desert and Flat Track. Hero has started an online poll. Of the four bikes which receives most votes, will be launched in India. 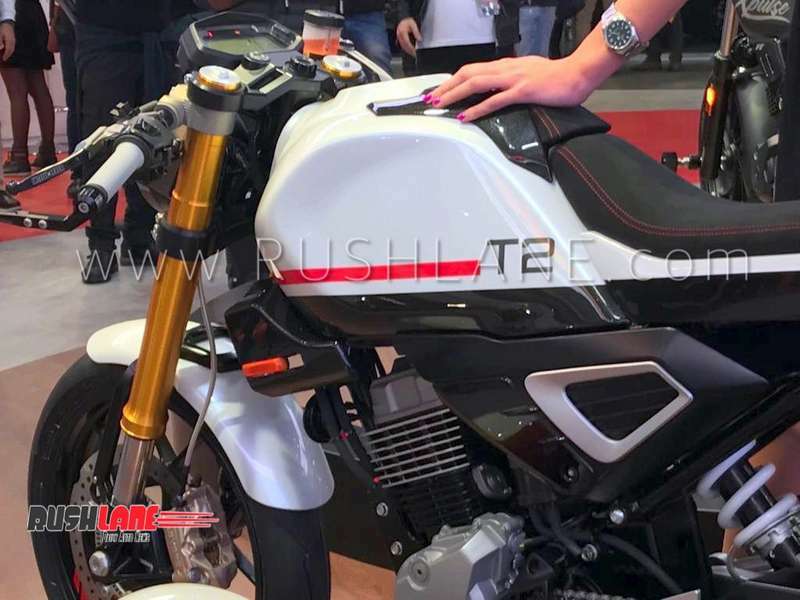 In this post we will talk about the Hero Xpulse Cafe Racer 200. 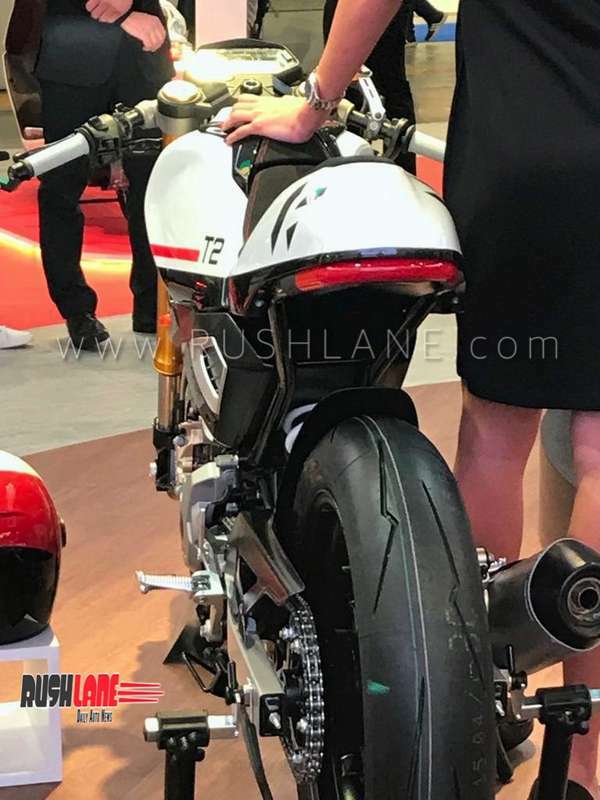 As you can see in the images, the bike receives an LED headlamp, 17 inch alloys front and rear, disc brake with ABS, upside down telescopic forks in the front, mono shock at the rear, single seat layout, 14 liter fuel tank, LED tail light, white paint finish, fatter tyres, digital instrument cluster, etc. The all digital instrument console can be connected with your phone via Bluetooth. It offers turn by turn navigation. 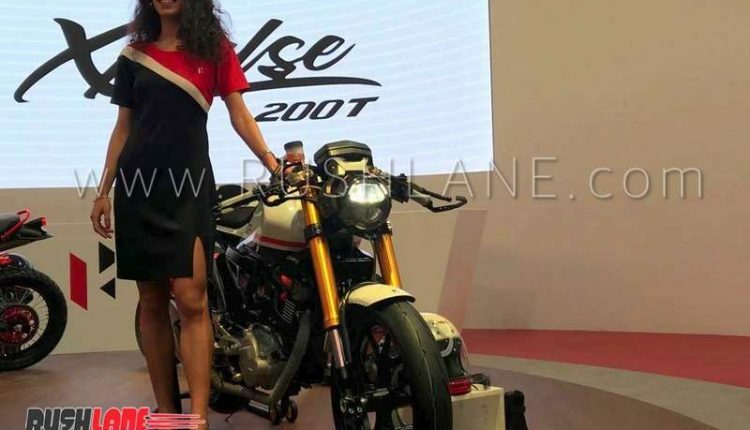 Hero Xpulse 200 Cafe Racer gets 190mm telescopic forks in the front and 170mm monoshock at the rear while seat height is at 825mm. Braking is via disc brakes at both ends. 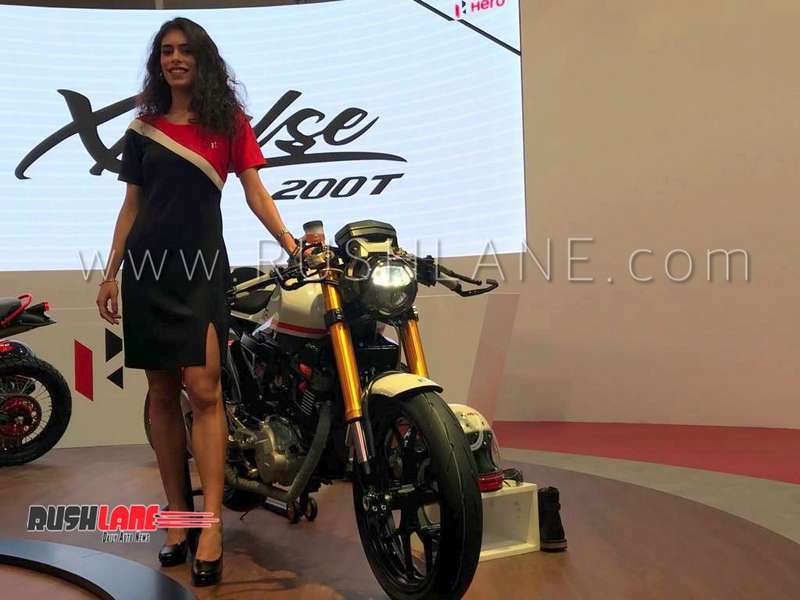 Hero XPulse 200 Cafe Racer is powered by a 199.5cc, single cylinder, fuel injected engine which also powers the Hero Xtreme 200R. This engine produces 18.1 bhp power at 8,000 rpm and 17.1 Nm torque at 6,000 rpm mated to a 5 speed gearbox. ABS is offered as standard. 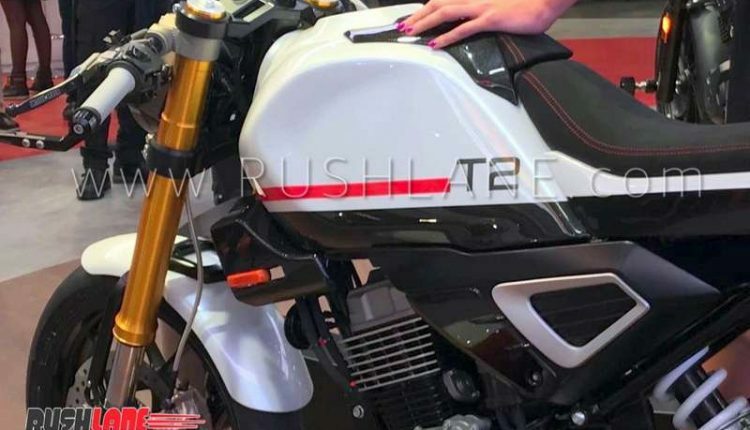 If this motorcycle is launched, expect it to be priced in the Rs 1 lakh range.